Documentation and SupportReleases Turnip Release Notes 2016-04-26View Configuration Tool now includes 'Not Regex' option for Filters. 1. 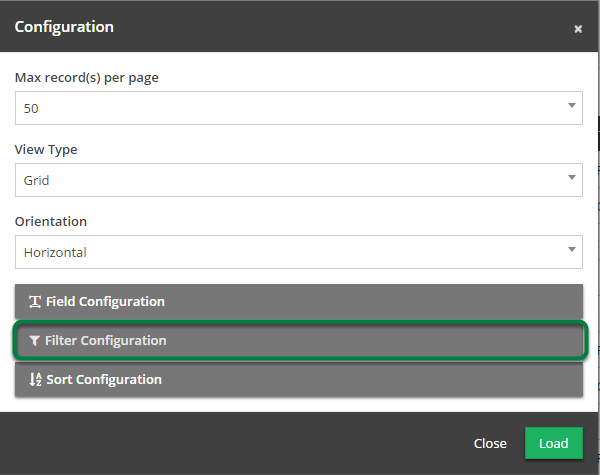 Open the 'Configuration Tool' from Grid View. This will open the 'Configuration Tool'. The Field you wish to filter on. 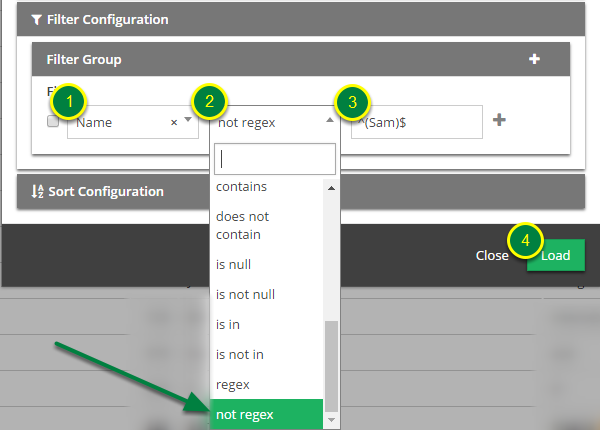 Select 'not regex' from the drop down. The above example will only return rows where the 'Name' field does not contain 'Sam'. 4. The Filtered View is loaded into Grid View. 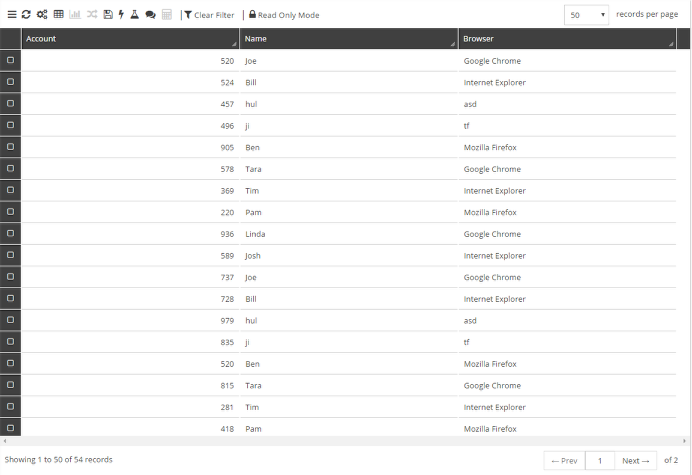 Prev: 'Limit List' functionality improved. 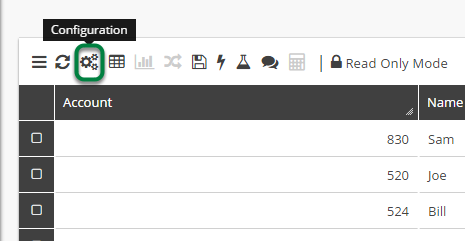 Next: Configured Views can now be saved as Excel Web URL.